Fall is the perfect time to start learning with an apple theme! 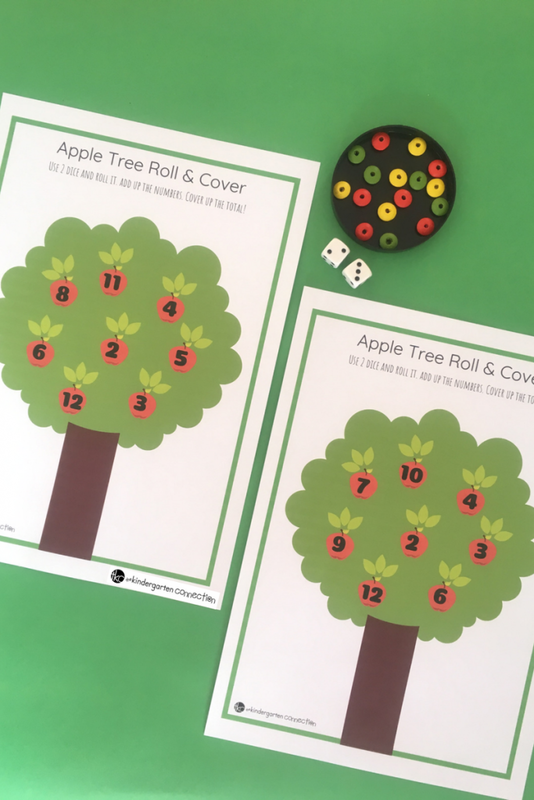 This Apple Tree Roll and Cover Math Game is so fun and educational too! *Pair this with our Roll and Cover Math Games for the Year! Who Should Use this Activity? 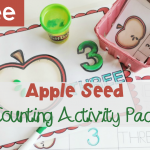 This activity is perfect for your homeschool or traditional classroom. You can use this in small groups or your math center! Children enjoy Roll and Cover Math Games because they get to have fun while learning and teachers love it because it is not too much prep! 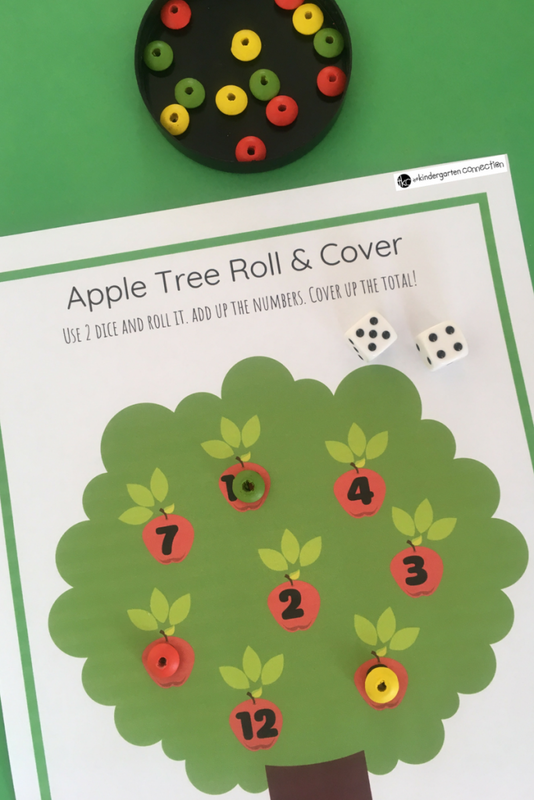 With this Roll and Cover Math Game, children will get to practice counting skills, number recognition, fine motor skills and hand-eye coordination skills (picking up those small pieces and placing it just right)! If you choose to use this in a small group, then children will learn social skills like taking turns, supporting their classmate and being patient. Print and laminate this FREE Roll and Cover Math Game (end of the post). Provide small manipulatives as game pieces. I used beads but you might like to use pompoms, mini erasers, or a food item like cereal. You’ll also need two die. The idea of the game is to roll both dices, count up the two numbers to get a total and check if you have that number on your tree. If you do, cover it up. Try to fill the tree. This game can be played individually or in pairs. When played in pairs, take turns to roll the dice. Both players check if they have that number and cover it up. First tree that is totally covered up, wins! 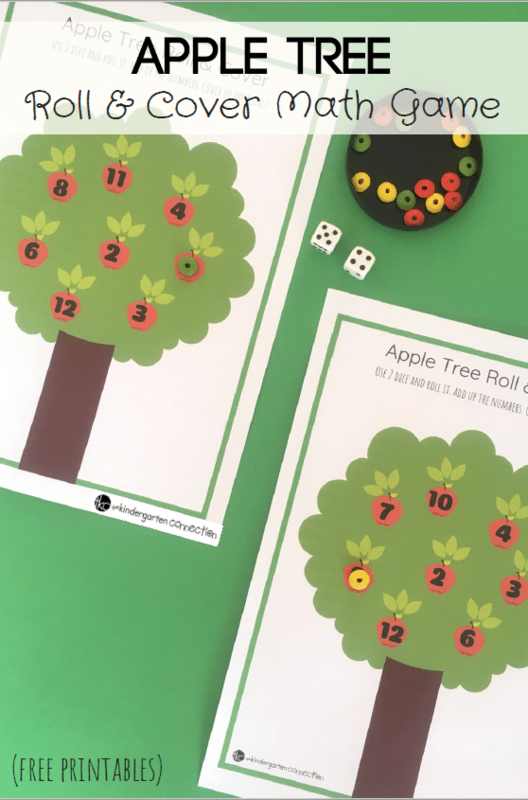 This is an adorable apple themed math game that will get your students excited for adding numbers! I hope you enjoy! 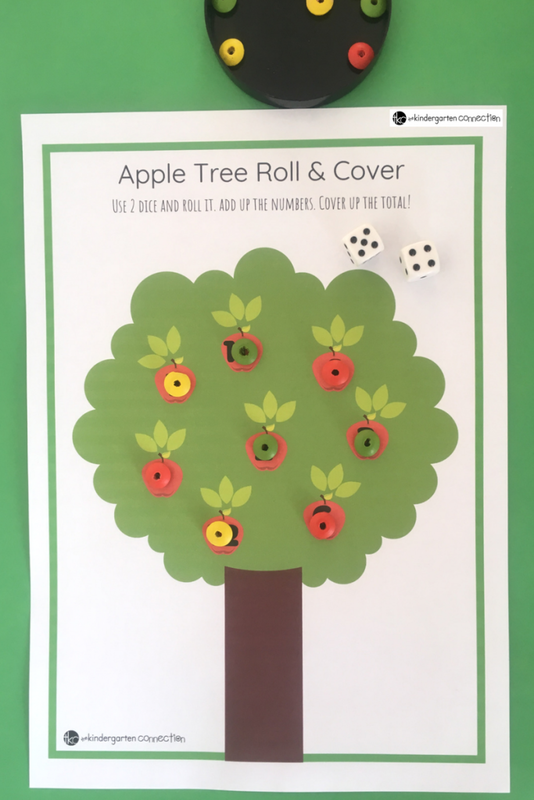 You can grab this FREE Apple Tree Roll and Cover Math Game by clicking the large, yellow button below. 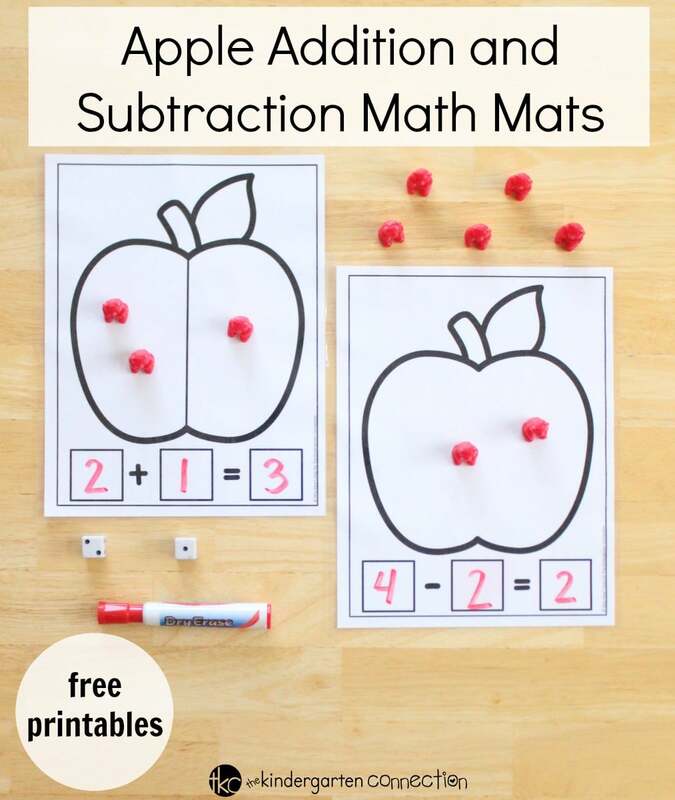 Then, hope on over to see our FREE Apple Addition and Subtraction Math Mats!